Modern unfurnished flat set within leafy residential area. 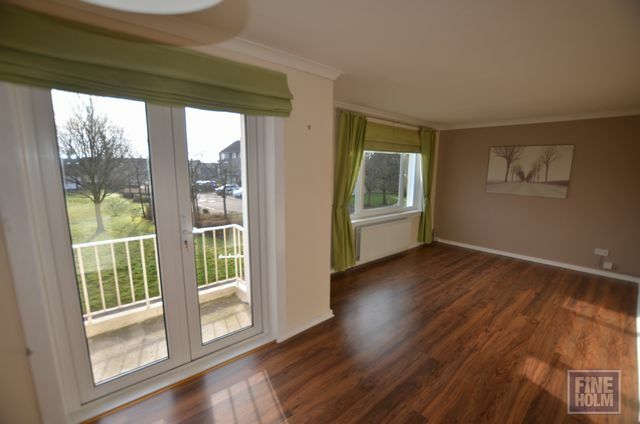 The flat is bright and airy with neutral decor and laminate flooring. It consists of 2 double bedrooms with ample wardrobe space, lounge with double doors onto balcony, well equipped kitchen and bathroom shower. Heated by Gas Central Heating with double glazing and a well kept communal area. The property is conveniently located for highly regarded schools, South Lanarkshire College and East Kilbrides main shopping centre and Village. East Kilbride has an impressive range of high street shopping, bars, restaurants and entertainment and sporting facilities all of which are easily accessible. The town also offers bus and rail services connecting to Glasgow City Centre and other destinations throughout west and central Scotland, as well as access to Central Scotlands motorway networks, making this a popular area for commuters.